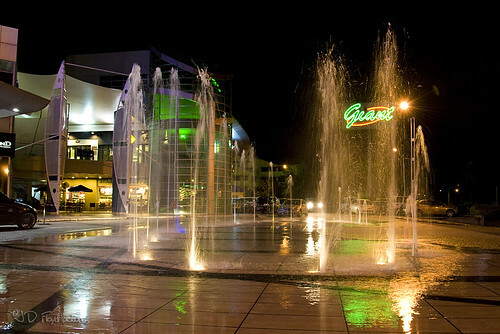 Evening Fountain at Citymall Kota Kinabalu, a commercial/shopping centre fast growing in popularity. 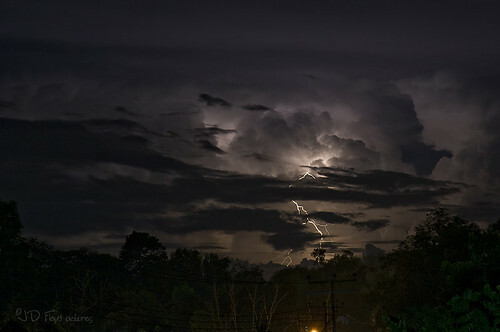 Evening view of Kota Kinabalu seafront. 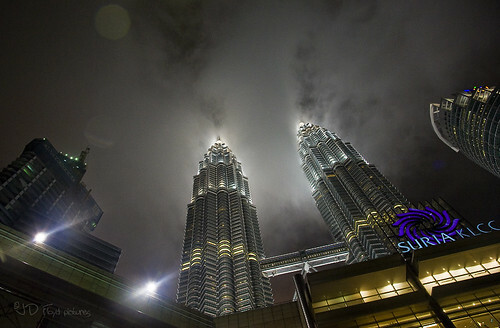 Cloudy Towers - hand-held shot of the popular Petronas Twin Towers minutes before it rained. 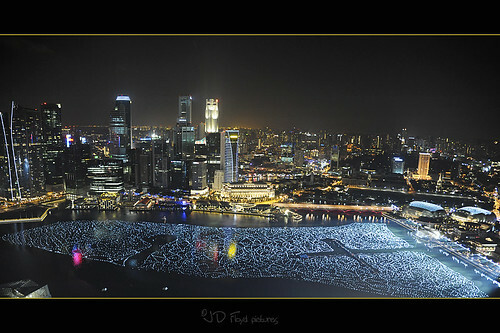 Vantage view of Marina Bay, Singapore. The folks wrote their new year wishes on balloons and threw them into the sea. wirklich eine gute Taktik zu arbeiten.